Rahul Dravid made runs that stand for more than their face value. 13,288 runs is a colossal achievement, and facing 31,258 balls in Tests, even more so. It shows his struggle and determination backed by water-tight technique to overcome adversity. So it should be a minefield of a pitch and then the gladiator comes forth. Invariably this happens overseas. 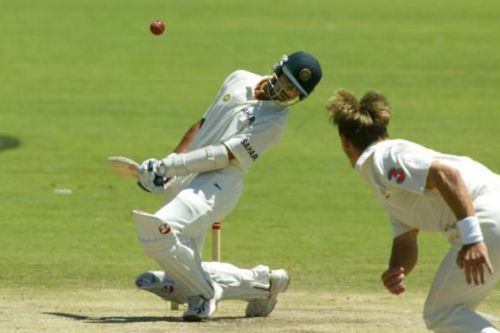 As a batsman, Dravid contributed where India used to be its weakest – playing overseas. For far too long, ever since it started playing Test Cricket, the Indian players have been poor travelers with abysmal away records in Test matches on bouncier, livelier and bowler-friendly tracks. 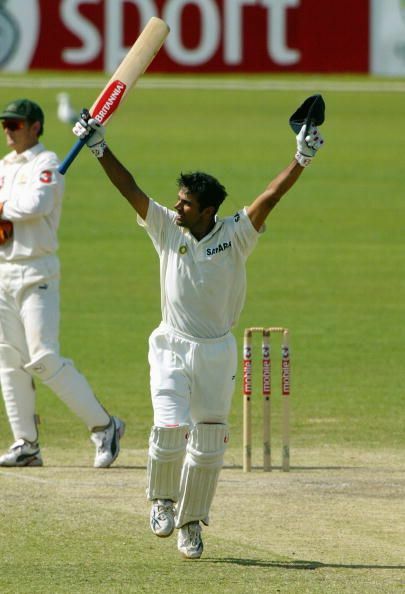 Dravid hit his first hundred versus South Africa at the Wanderers against an attack with the combined menace of Allan Donald, Shaun Pollock, Brian McMillan, Lance Klusener, Hansie Cronje and Paul Adams. 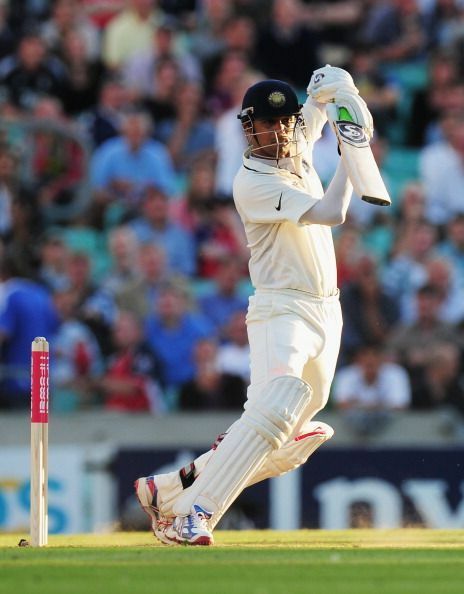 That 148 came agonizingly close in winning India its first Test in South Africa. It was only bad light on Day 5 that helped South Africa escape from defeat. Ever since, Dravid has taken great pride in his overseas batting record. Innumerable times he has taken guard when India would be one down for next to nothing on the board; and countless times he has weathered the storm and anchored the innings amidst the more flamboyant stroke makers of the batting line-up. When he took guard, India could sense an air of stability to the proceedings. You could take the eyes off the score during lunch and he would still be there, after tea, holding together the innings, running the opposition down with his classical technique and immense concentration. He was a cricketer with a keen sense of the history of the game. It is because of these qualities and the mountain of runs he scored at No. 3 that he was called up to speak at the Bradman Oration in Adelaide in 2011, becoming the first non-Australian to do so. Dravid clearly distinguished himself as a thinker of the game. His astute oration deserved the standing ovation he got after an address of 38 minutes that touched upon all the pressing issues that cricket faced and how he thought things could be improved. Success never came easily to Dravid. There was a long phase earlier in his career when he was just unable to convert 70s and 80s into hundreds. He kept trying to perfect his technique in his formative years till he made that leap from being good to great. It should come as no surprise that most of Dravid's superlative innings with great recall values were played overseas. Twin centuries of 190 and 103* in the same Test in Hamilton, 148 in Leeds, 217 at Kennington Oval, 233 and 71* in Adelaide, 270 at Rawalpindi, 81 and 68 in Kingston Jamaica in 2006, 93 at Perth and 112 in Kingston again in 2011, and his three glorious tons against England in his last tour of the Old Blighty. 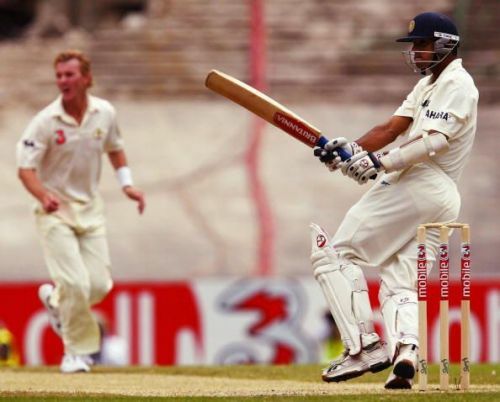 The 146 at The Oval in the last Test of the series as India were hurtling towards a 4-0 whitewash was of a particular vintage - one only Rahul Dravid would be expected to produce. Circumstances had forced him to open the innings in the absence of a regular opener. He carried his bat for an unbeaten 146 against a menacing and potent pace attack. The whole of The Oval rose to give him a rousing ovation. 10 minutes later, he came out again to bat after England enforced the follow-on, he got another standing ovation. The Oval crowd could not help but admire the man as he fell for 19 to a tired shot. 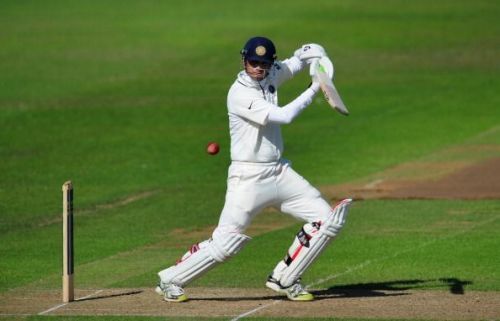 Those three ovations were for three different things that Rahul displayed - the first for his exceptional skill, the second for his resilience and the last was out of genuine respect and heartfelt affection for him. Dravid’s love affair with England began with his debut at Lord's. 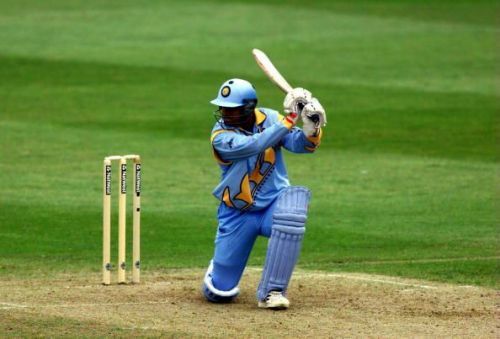 He then went on to become the highest run scorer in the 1999 World Cup held there, had that exceptional summer of 2002, captained India to a series victory in England after 20 years and finally, had the last purple flourish of his career in 2011. In between, he revisited the shores of the island to play a bit of county for Kent, MCC and turning up for ODIs for Scotland. The English respect a thorough gentleman and they can spot one with ease. Dravid is undoubtedly one. David Lloyd went on to pay him a huge compliment on air when Dravid walked off after nicking a delivery from Stuart Broad, hence saving the umpire the blushes. Lloyd said, “Rahul is honest as the day is long”. I am sure he was referring to the long winding English summer because the days in winters can be really short! He was the player that any father would ask his child to aspire to be like, for the guy is a perfect role model. Even in his endorsement deals he brought that humane touch and a sense of calm and assurance. When asked about his nickname - ‘The Wall’ - he joked that the media had set him up for puns, so that when he failed, they could come up with lines like ‘Another brick has fallen' or ‘The foundations are weak’! Dravid had it in him to take a lashing and crack a few jokes. It is often forgotten how he was viciously chided for supposedly not being cut out for the one-day format during 1998. He adjusted and came back stronger, more nimble. His is an exceptional example of mastering the one-day format. Critics and fickle fans never ceased to point out his slow scoring rate. But he kept at it, becoming remarkably successful, excelling in the middle order with 82 fifties to his name. Just to cite his consistency, he once went 120 matches without scoring a duck. Dravid kept wickets so that India could field a balanced team, opened when no one would put their hands up for it, and captained with tenacity. Apart from all this, he had a well-earned reputation of being a superb catcher in the slips, with a world record tally of 210 catches in Tests. He took the catches so smoothly, you couldn't even hear the voice of the ball hitting his hands. It has been six years since Dravid made the dignified announcement to retire from international cricket from his home ground - the Chinnaswamy Stadium. India has not yet found a suitable replacement. We still miss him immensely when India is one down for nothing when playing overseas; when the team is in trouble, there is no Dravid to turn to. No one to bat for India, as if his life depended on it. He was special. Like no other.